ITALY: Prysmian has gained type certification for its 66kV inter-array cables, developed as part of the Carbon Trust's Offshore Wind Accelerator (OWA) programme. The cables have been certified under the International Council on Large Electric Systems (CIGRE) and IEC test standards, the Italian cabling firm said. In July 2014, Prysmian was one of three European cable firms to be awarded €502,500 to help commercialise the 66kV cables. The current standard inter-array cable is 33kV. 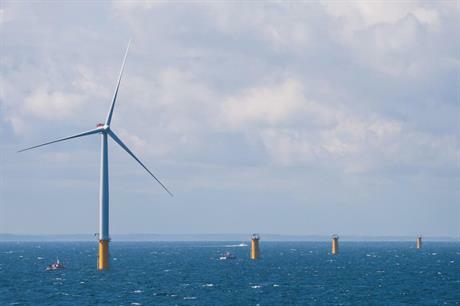 The UK's Carbon Trust identified higher voltage cables as a way to lower the cost of offshore wind. Prysmian said Capex for offshore wind projects could be reduced by 15% by increasing the voltage. Its three-core cable EPR insulated "wet-design" cable uses an aluminium conductor and an optical element, according to Prysmian. "Moving to 66kV intra-array networks offers a great opportunity to cut costs. This is a key requirement if we are to move to higher-voltage arrays. This latest announcement proves the effectiveness of the OWA in bringing cable manufacturers and offshore wind developers together to accelerate development, manufacture and certify important new cable solutions for 66kV," said Carbon Trust director of innovation Jan Matthiesen.